Cloud software is more than 20 years old. But it’s only now that global industrial companies are embracing the cloud. Why have they waited? Well, different types of companies have moved to the cloud at different times for different reasons. In the early days of the cloud, circa 1999, the first adopters were smaller companies that had less to lose and were willing to push the envelope. Then, around 2006, the first real enterprise customers—those with 1,000 or more employees—started to adopt cloud applications. These tended to be large tech companies like Cisco Systems and Dell that are inherently comfortable with new computing paradigms. Meanwhile, big industrial companies like Siemens held back. After all, these folks manufacture complex, mission-critical products. MRI machines, HVAC systems, and turbine engines—these things have to work! Which means the technology systems at the companies that make them have to be absolutely bulletproof. So they waited. But now these industrial heavyweights are turning to the cloud to run their companies. They have realized that, in today’s digital economy, they must transform the way they operate—and they’ve realized the cloud is the way to do it. What’s more, they have confidence that the cloud is finally ready for them. They’ve seen what the cloud can do and they trust that it can help them design, build, service and sell their mission-critical products—both locally and globally. This global aspect is crucial. In the past, these companies could not manage their businesses globally. 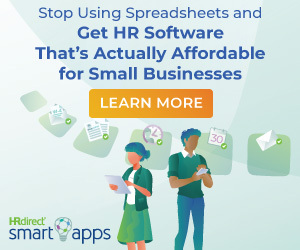 If you were, say the VP of field service at a large industrial firm, you could not see across the entire organization because different regions were on disparate field service applications running on separate servers. It was hard to consolidate information for all and paint a global picture. The cloud changes this. Now, with the rollout of cloud-based global datacenters like Azure or AWS, it’s possible for large multinationals to truly manage their business around the world. For investors in cloud applications—like us—this is a huge new opportunity: business cloud applications built to support the global operations of industrial companies. That’s why we’re actively investing in cloud startups that enable industrial firms to make their products better, faster and cheaper and to bring them to market more effectively. 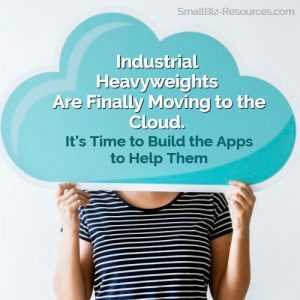 This new wave of cloud startups is tackling a number of exciting areas in the industrial market. Take product lifecycle management. Cloud technology enables PLM to be more customer-centric and, for the first time, lets engineering, operations and manufacturing teams seamlessly share product information with suppliers and vendors. Another key area for large industrial companies is field service. Cloud technology now enables these companies to more profitably service their equipment and manage returns, repairs and parts across a global network. And then there’s the plant floor. Cloud software can help manufacturers streamline operations on the factory floor and generate better sales per machine. Cloud applications coupled with sensor technologies and sophisticated algorithms are giving plant managers the ability to monitor, analyze and improve their production processes and squeeze the most from every machine on the factory floor. There are even now cloud-based subscription applications that let an industrial giant like Caterpillar get paid not just for the tractors it sells but for every load of dirt those tractors haul. And it doesn’t stop there. We firmly believe there are even greater opportunities for startups that help industrial companies move deeper into the cloud. One reason I have such confidence is that I know big industry. It’s in my blood. I launched my career more than 20 years ago at Cummins Engine Company, a leader in diesel engine manufacturing for the trucking industry. And I was working at Cummins’ leading plant globally in western New York as a co-leader of assembly and test operations. The plant installed a cutting-edge business application package for plant floor scheduling. That really turned me on to the software industry and the power of business applications. Nowadays, we’re always looking for entrepreneurs who have deep domain expertise in the industrial market and who are ready to build great startups that help industries move deeper into the cloud. There’s absolutely nothing wrong with a 21-year-old college student who creates that next great consumer app. But, with the exception of Box and Dropbox, which both started off as consumer apps, there are no successful cloud entrepreneurs I know of who came straight out of school with no real business experience. If you’re going to support the head of global field service at a company like Siemens, you need to have deep domain expertise yourself. You must have insight to ground-level problems so that you can build a solution with the features and functions that the head of global field service needs to get started and to frame a long-term valuable product roadmap. The reality is that business cloud solutions are meaty applications that require significant capital to design and build. You can’t do much with $1 million or $2 million these days—not in the enterprise cloud realm, anyway. We believe the real capital requirement is about $5 million to build important products that are capable of solving weighty problems for their customers. 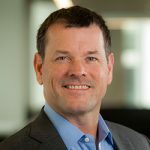 Another requirement for cloud entrepreneurs is the right investment partners, people who understand the new funding model for enterprise cloud companies and who can provide the operational guidance to build a global, category-leading company. And that means classic series A. Classic series A firms are purpose-built for early-stage investing. They are typically led by seasoned operating executives with venture capital experience and a highly relevant network. These firms are connected to the top players in the market and can offer the kind of insight and advice needed to accelerate growth. From where we sit, we see an exceptional opportunity for a new generation of cloud startups that can help large industrial companies transform their global operations and truly prosper in the digital age. But first they have to partner with the right investors. 3 Tips to Know Before Starting Your Own Business. Matt Holleran leads Cloud Apps Capital Partners on our journey to be the best venture capital firm in the world in the cloud business application market at the Classic Series A stage. He works closely with entrepreneurs and executive teams to help them build global category leading companies. Matt has 12 years of operating experience in successful business application companies including salesforce.com, 12 years of venture capital and private equity experience, and a highly relevant network. He has walked in the shoes of founding teams at each stage of a business application company's development -- no customers, initial traction, scaling the team, market leadership, and global expansion. Matt has a BA in engineering and economics from Dartmouth College and an MBA from Harvard Business School.